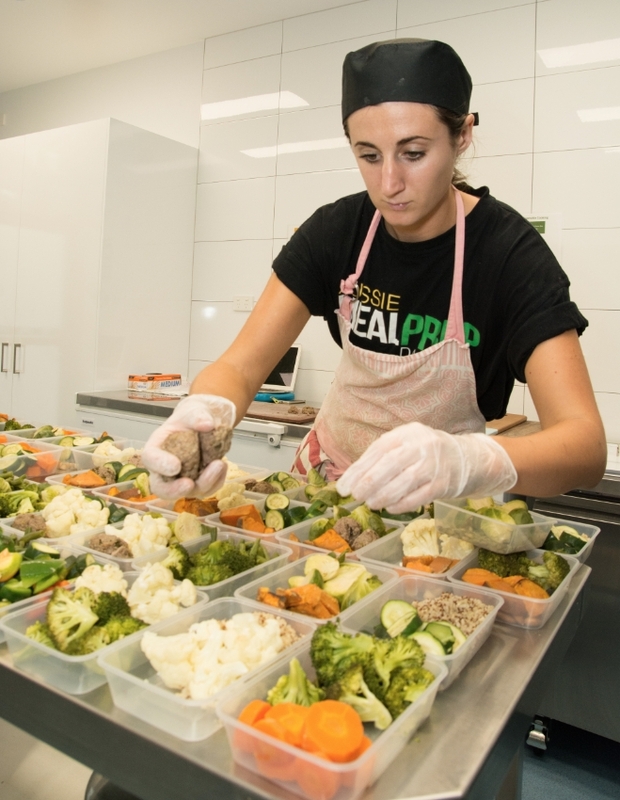 Meal prepping has become very popular in the last few years in Australia, and formally a tool used by athletes and bodybuilders to gain performance and drop weight and body fat. Now, it has become available for everyone to gain the edge in the fight for a beautiful body or to simply shed a few kilos. With a busy lifestyle, balancing the running of a business, my health and fitness is of the upmost importance. Aussie Meal Prep has provided me with clean, calorie controlled, portioned meals. My well being, weight loss and training at Crossfit Territory have improved. I would recommend to anyone with a busy lifestyle, goals to lose weight or improve training and performance. Liz A.
I have been interested in keeping fit and my body in shape all my life. I am now 57 and in the best shape I have ever been, thanks to Aussie Meal Prep. Reaching 40 years of age with two kids, I worried about my expanding waistline. I discovered eating salads helped me keep my weight down. I was one of those “no carbs after midday” people but after many years of eating like this I discovered that my energy levels were really low and I just wasn’t sleeping very well. I also noticed eating food with additives/chemicals kept me awake and developed intolerances to many foods like dairy, wheat and eggs. These intolerances were so hard to track as their after effects can occur hours after or days after so you never really knew what caused the problem. So, here I was, sleepless nights, low energy levels and didn’t know really how to fix it! On Aussie Meal Prep, not only did I lose five kilos, I was enjoying the best quality sleep I had had in years! With better sleep, came more energy and with more energy, came better performances at the gym. I had more energy at work and had more energy period! That was 18 months ago and I still use Aussie Meal Prep to supplement my own cooking. They use only the freshest of ingredients and the menu varied. If I had to do it myself, I wouldn’t get that variation. I absolutely recommend Aussie Meal Prep to anybody who has food intolerances and needs a hand in preparing fresh and varied food. Improved sleep and energy levels were an awesome by-product and I have enjoyed the weight loss…so has my husband! Liz W.